I’m really glad you’re doing this! Questions I’d never thought to ask, I now have the answers to. As someone who does not do audio books, Greg is really really tempting me! Damn that is great. I love how you change your voice Greg. I sometime forget that is the same person. You make a great team! It’s fun to listen to you both. Rhys, I love all your work; I’m so excited to be here, that I can’t even think of a question. This is so much fun, I wish i have some questions but i can’t think of any right now. 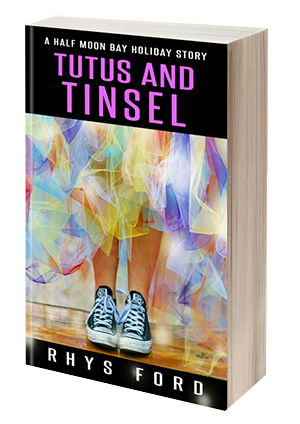 One of the big appeals about Rhys’s books for me is always the dialogue. This is so great to listen even with my technical difficulties. Well dang it…didn’t know there was a Post 1 to enter. But now in the #2. LOL. Always a day late & a dollar short. I’ve never been able to see either of you guys in person before, and you’re both so amazing! I’ve been convinced into buying all of Rhys’ books simply because you’re just so cool. And Greg is just fantastic, I love all his voices! I love how Greg goes through so many different voices so quickly. That was amazing! Will you still be answering questions from older posts, or only the post that’s active? Greg, I’ve been listening to Murder and Mayhem, and I love the voices you create for the characters. I love the different accentS. Not sure if I’m posting at the right time for any of these, but I’m trying! So enjoying all this! I have the Dirty books in ebook and paperback, but i can see now i HAVE to get them all in audio, really really soon. Greg, I can listen to your voice all day long. Love Greg’s voice and your writing. How much time on average do you spend researching your books before you start writing? Having so much fun! And now that I’ve heard Greg’s voice I’m thinkin’ I need to give audiobooks a try. Question for Greg – What’s YOUR favorite audio book? Very entertaining so far! I’m such a book nerd! This is fascinating, learning about Rhys’s writing process and Greg’s voice beginnings. I prefer audiobooks now that the eyesight’s going. Really enjoying the questions/answers, readings and getting to see both of you! 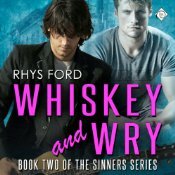 I brought up the pdf file from Rhys’s blog and am listening along with Greg right now! Rhys Question! What’s your favorite easter egg for any of your characters, i.e. something you know about your characters that isn’t in any of the books. Really loving this, thank you. Some authors have an absolute ability to touch your soul and make you cry. Rhys can do that to me so easily. I love that you get so emotional, I do to when reading/listening to them. Question for Greg: have there been scenes you found so funny that recording them was a (good) challenge? audio book tip! Non romance..
Alien: Out of the Shadows: An Audible Original Drama. It’s a dramatized version and it was awesome! All the characters had different voices, there were music and sound effects! If you’re familiar with the franshice you’ll get goose pumps.